We are delighted to announce that IRIS Connect is a partner in a second Knowledge Alliance that has received funding from the European Commission within the Erasmus Plus programme. 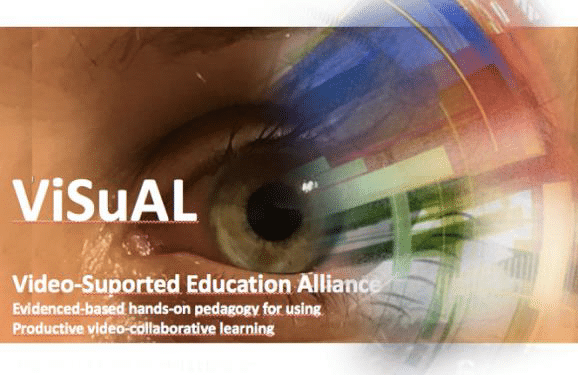 Following the success of the “ITELab” Knowledge Alliance, which is advancing well in its second year, the ViSuAL Knowledge Alliance project’s aim is to co-create an evidence-based pedagogical model for Video-Supported Collaborative Learning. The model bridges theory and practice, which is important for teacher education (TE) and vocational education and training (VET). Furthermore, it will encourage video content creation and sharing as a rising work-life competence. The model will be used and taught in TE so that student teachers become familiar with Video-Supported Collaborative Learning as an educational tool. 2. Hands-on principles for a sustainable HEIs-TE and ETDs co-creation partnership. 3. Pedagogical design principles and workable pedagogy practices for ETDs to enhance the use of their products in education. This is an Alliance of six (HEIs-TE) and 6 (ETDs) from 6 European countries: The Netherlands, Finland, Switzerland, Estonia, Portugal and the UK. During the 3 year project (January 2018 – December 2020), IRIS Connect will provide the basis for the experimentation by the HEIs and the co-creation of pedagogical models for effective use of video for professional development. You can follow the progress of this project and its outputs here, while the project website is being constructed.